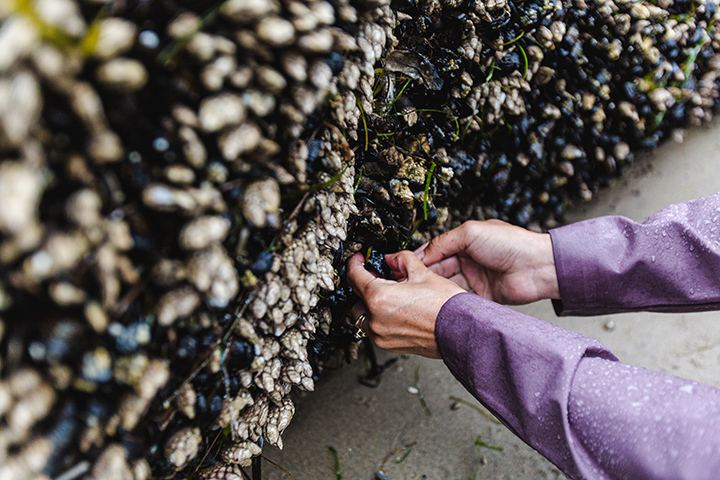 This class will explore in the incredible ecosystem of the intertidal zone, guiding students through sustainable harvest of mussels, seaweed and edible barnacles. Class will begin with a lesson on identifying numerous varieties of seaweed, based on shape, texture, size, taste, and color. We will learn about the seasonality of harvest, how to process and dry seaweed, as well as ocean ecology, and information about red tides. Henry will also guide students through the ID and harvesting of mussels, barnacles and limpets: exploring collection methods, tidal timing, processing techniques and recipes. The day will be spent exploring a beautiful coastal environment, with tide pools, beaches and many interesting species to learn about. Class will end by tasting fresh seaweed, preparing mussel dishes and pickling bull kelp. This workshop will be held in Ecola State Park, OR, and requires a reasonable level of physical fitness, and the abilty to be outside in potentially inclement weather. Class will be running, rain or shine. Please leave dogs at home. Sign up and follow us! Subscribe to our Newsletter for Monthly WildCraft Updates!